BOULDER – There can be an appeal in owning an older home; preserving a historic part of a neighborhood and/or restoring a house to its former glory. However, there are concerns when buying an older home, issues that can cause regret and major expense. When considering the purchase of an older house, make sure to spend extra time with your home inspector to assure that your ideas for the home are realistic. Outdated or obsolete systems and materials are major issues and can affect insurance rates. Heating and cooling systems should be considered. Was the system installed properly to begin with, or was it rigged to fit the home? Lead piping can also be a problem if the lead pipe brings water into the home. Electrical systems such as aluminum wiring or knob and tube are often partially replaced in an older home. You should ask how much is left and what would be required to complete the replacement. Non-grounded receptacles that were the standard before 1962, have only two slots, and are missing the round hole for a ground connection should be replaced. The lack of ground fault circuit interrupters (GFCIs), in homes built before the late 1970s, leaves you without modern shock-protection in the wet areas of the home, like the kitchen and bathroom. Tile or slate roofing may be historically accurate, but can be expensive to repair if it is damaged. Chimneys and fireplaces may require replacement or a complete rebuild. Pay close attention to sewer lines and foundations of older homes. A video scan of older sewer lines can provide good insight into how well the waste plumbing system will work. This becomes doubly important if there are mature trees on the property. Foundations of much older homes can be stone or brick. Be sure your inspector makes note of the composition and condition of all foundation materials. Lack of insulation can mean higher utility bills than a newer home. Many vintage homes were built with non-insulated single-pane windows, no attic, wall or floor insulation. Older homes are more likely to contain hazardous materials, including lead and asbestos. Lead was commonly used in exterior and interior paint up until 1978 and within plumbing systems built before the mid-1980s. This lead can leak into the environment and the water system. Asbestos was also used in insulation, roofing, and wallboard patching/texturing compounds up until the 1970s. If you’re considering a home built before 1978, you should be aware that the home may contain these materials. You may want to include testing for these materials in your inspection. 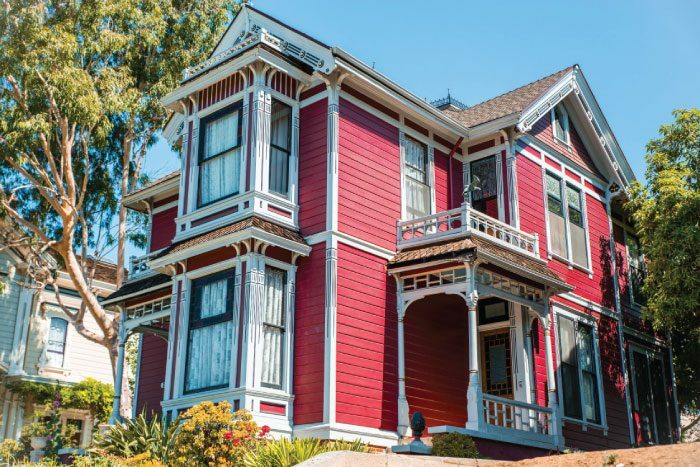 Owning an older home can be source of pride. 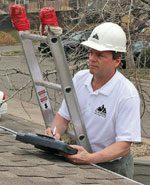 If you are considering buying a home with a little more character have your inspector go through the house keeping in mind any possible renovations or restoration you may be thinking about. In some cases, it may be prudent to have an older home inspected prior to making an offer. By doing this you can include the cost of necessary repairs in the price negotiations with the seller.